← New MIT/Yale study finds number of illegal migrants in U.S. is twice that of current estimates – 21.1 million! 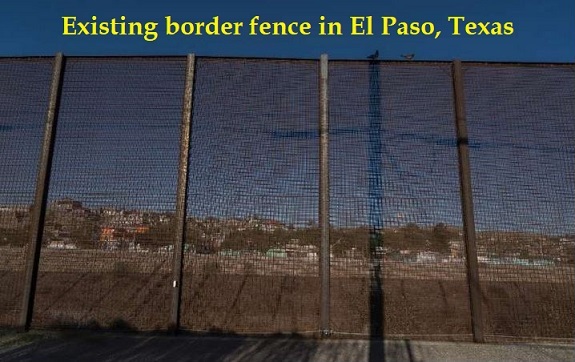 AFP reports that on Saturday, Sept. 22, 2018, construction began in Texas of part of President Trump’s border wall to curb illegal border-crossings into America, which he correctly identifies to be a security threat. Aaron Hull, US Customs and Border Protection’s Chief Patrol Agent in the El Paso sector, said in a statement that the new section along the boundary between El Paso, Texas, and Ciudad Juarez, Mexico, will replace the wholly-inadequate fencing along four miles of the 2,000-mile border with Mexico. “This new wall will be far more durable and far more effective in deterring would-be illegal entrants,” he said. The existing fencing will be replaced by an 18-foot steel post barrier which allows Border Patrol agents to see through to the other side. The wall-construction in Texas follows the construction of a 20-mile stretch of replacement wall in Santa Teresa, New Mexico, which began in April. Meanwhile, Breitbart reports that in a recent interview published Sept. 7, President Trump revealed he is mulling plans to use the military to build the wall. He told the Daily Mail he has “two options” when it comes to building the border wall: “We have military, we have homeland security.” Of the two, Trump said he prefers Congress approve the $25 billion in spending that he’s seeking for the wall and have Department of Homeland Security (DHS) undertake the project, but that failing that, he’s “very seriously” looking at the military option. This entry was posted in Congress, crime, Donald Trump, fake news, illegal immigration, Liberals/Democrats/Left, Military, United States, US Presidents and tagged Aaron Hull. Bookmark the permalink. The American people want the wall, but the establishment globalists, and that includes 95% of the Republicans, are fighting our President’s every promise to the American people. Let the Corps of Engineering take the job on. Let’s see. Young, enthusiastic, engineers, using existing designs, enhancing them, and then executing the plan in a most expeditious manner. Soldiers learning a trade in construction. Added bonus. Hopefully, the Secretary of Defense will support the President’s initiative. Building that Wall is the most pro-environmental thing that a US President can do. This will protect our open spaces/wildlife habitat, protecting our flora & fauna, reduce pollution, and reducing those globull warming causing green house gases, but as those who are REAL environmentalists, conservationists, birders, botanists, wildlife enthusiasts etc etc know, the environmental movement has been hijacked by anti-american cultural marxists. Green is the new Red! Reply to the Seumas comment. Do you think the Israelis are being kept in or the Arab terror types kept out? How bout those unwilling West Germans trying to get into the communist paradise in East Germany. Are you delusional, never mind you already answered that. 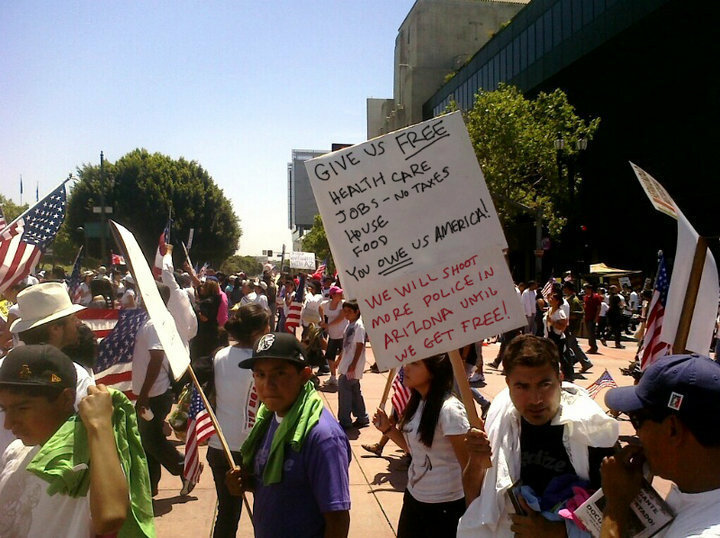 Additionally if it were to keep U.S. citizens in, the Dems would want to fund it so they could control our every move! Well, I have to say it. If he is serious, all he has to do is threaten to cut Israeli funding. Of course, with him that will NEVER happen. It’s truly a shame. He has many good attributes, the Zion-lover attribute isn’t one of them. He is being defied at every turn. I think there are ways to fix that. Most of them don’t involve publicity. For now I’ll take whatever we get knowing not to get my hopes up. The whole thing looks like Kabuki theater to me. I’ve been following the progress in replacing existing barriers with the new wall structure. They’ve already completed the wall from San Diego, across Arizona leaving only New Mexico and Texas to complete. So far one Mexican who tried to climb over a 30 foot high section in California broke both legs and injured his back when he fell off onto US soil. We really don’t need a wall. We need the laws to be enforced. If that means that any man coming over gets lead in his hind end and every woman gets handcuffs and a burro ride back with a sandwich and a bottle of water, then that’s what it means. If you try to run across a border in some countries you’ll be shot. I think we’ve been far too lenient for far too long. Once people got wind of the consequences, the numbers trying to get across would dwindle considerably. Or maybe I’m too harsh. …. Up, up, and away they gooooooo. St. Longinus, We HAVE to have a WALL Even with electronic surveillance systems across the 2,000 miles, we obviously will still need the Border Patrol and possibly some military personnel. But, we can’t afford to place a huge number of humans along the 2,000 miles to keep illegals out. That would be outrageously expensive, inefficient, dangerous and stupid. Of course, our laws need to be enforced, but the WALL is for the hordes of illegal opportunists, terrorists, gangs and drug cartels who don’t respect our laws. A recent report stated there’s been an increase of illegals coming across the border.